Musing On Beauty: A little play with my new Jemma Kids cheeks products. A little play with my new Jemma Kids cheeks products. And boy, am I happy I got these! I ordered them from BeautyBay, which now has free international shipping (and it's not even that slow, at least not for Europe). 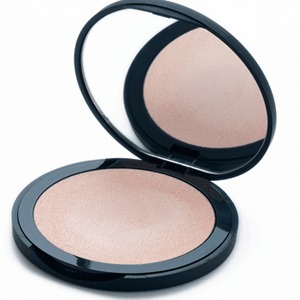 The higlighther is 10g and £ 16.63 / € 20.50, the blush is 3.4g and £ 17.73 / € 15.60. I find both products reasonably priced given the quantity you get, but also given their quality : I must say that I absolutely love the formula of both of these. The hilighter is perfect for all skintones, including fair ones. It's pretty without being glittery or frosty, and it's very easy to apply and blend with your fingers or with a brush. 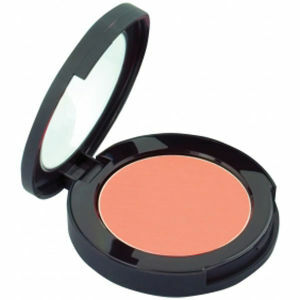 The cream blush is in fact a cream-to-powder formula. It's not sticky at all, blends easily on the skin (I have used my fingers also) without going patchy at all. Both last very well on me. The packaging is a plastic case that doesn't feel too cheap or fragile, it has a transparent lid that allows you to see the product. It's very easy to store and very practical to travel with or put in your purse for touch ups. I have been reaching for these 2 non-stop since I got them and as you can see, they are pretty versatile! Look 1 : me, fake-tanned to the max (I must be about NC25 on this pic, I think), wearing both products on the cheeks in combination with some powder bronzer. Look 2 : on a normal rainy cold June day, me being back to my usual NC15. The products aren't looking over the top at all on fair skin, as you can see. Bottom line: two great products at a great price - nothing to dislike about them! Paw Paw looks absolutely stunning! It's definitely going on my wish list! It's such a great and wearable color, I really enjoy it! I ordered from BeautyBay a week and a half ago and still haven't received my products. Just curious, how long did it take to ship to you? A good week, but it was sent with Priority, probably because it was quite large. Also with the Jubilee in the UK, the post there didn't work on Monday and Tuesday this week, so maybe that's the reason? You can e-mail there, they're very helpful. I have some Jemma Kidd goodies too & have yet to be disappointed. To Megan - BeautyBay is super reliable. No worries there. I order from them regualrly. I have heard neg FB about hqhair too lately but I get my 'stuff' within a week from them. Excellent shipping times. No more than a week & I live in Germany. The only massive NEG I have is with SalonSkincare (UK) where I paid just over 11 GBP for priority shipping & it took 2 weeks. I ordered from Zuneta the same day and had my goods within the week with REGULAR shipping for €6,- . The bad/ indifferent customer service at SalonSkincare & their rip off postage fee = NO good!!! thanks for the advice, it's very much appreciated! I don't have any Jemma Kidd make up but the brushes are fantastic, I've got a few eye brushes I've had for a good 5 years and they're still perfect and blend like a dream. Definitely going to check out the make up now! I have a flat top foundation brush from her, that I like a lot, I need to investigate the eye brushes! I love both looks! But the fake tanned to the max is so summery and pretty. And I would never have known it was a fake tan if you hadn't told me. You look like you're glowing from a weekend at the beach. xen tan FTW my dear! This blush is such a nice color. Never heard about Jemma Kidd cosmetic. I think it´s not available in Germany, or? I don' t know where to get it apart from online, I'm afraid.